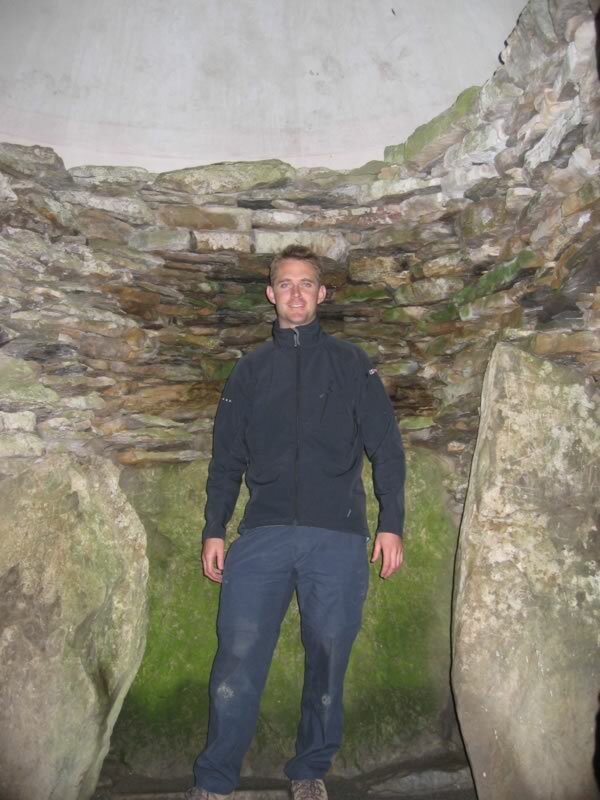 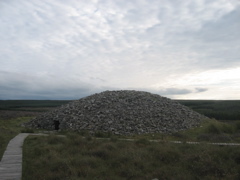 When Blair and I were returning from visiting Orkney, we stopped off to visit some cairns. 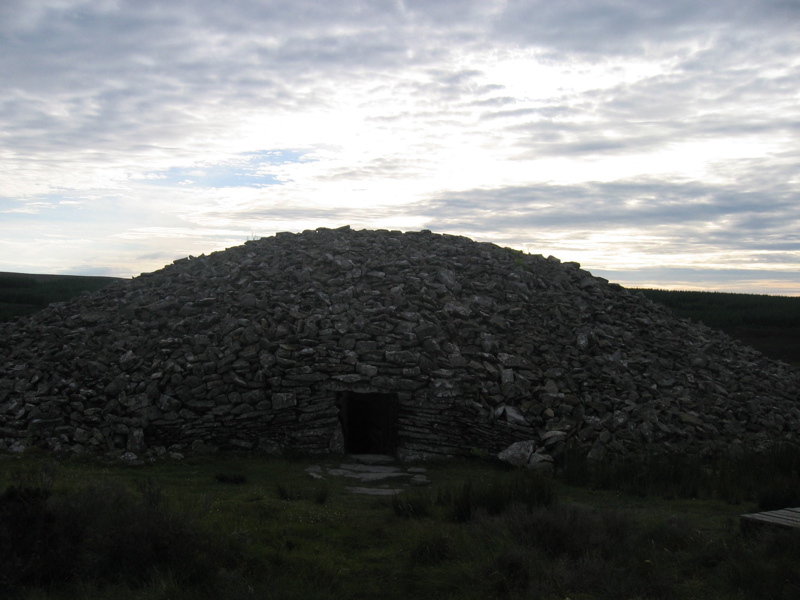 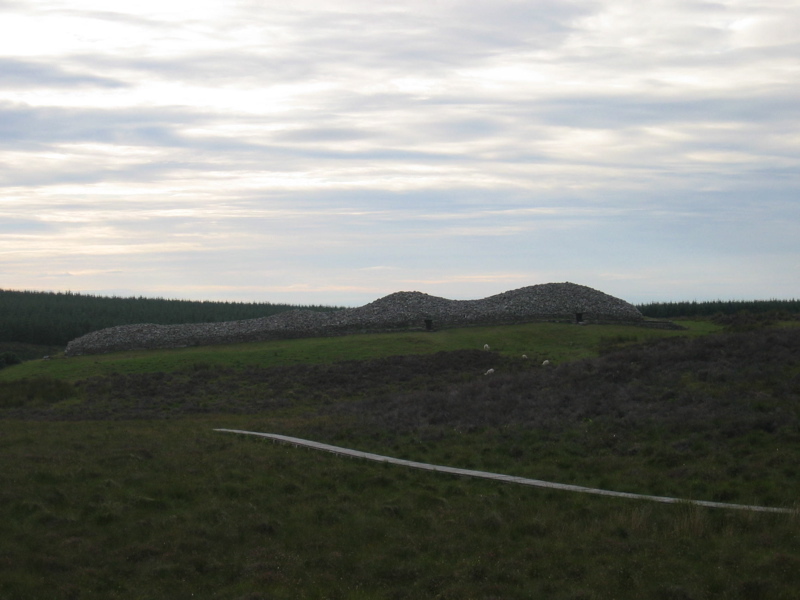 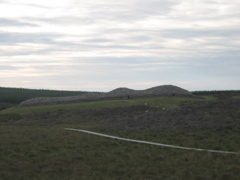 When originally built, all the cairns were fully closed over at the top, but over time many of them have lost the top layer, so now the centre is exposed. 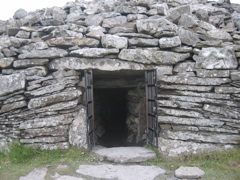 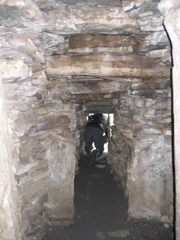 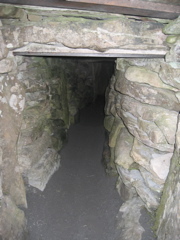 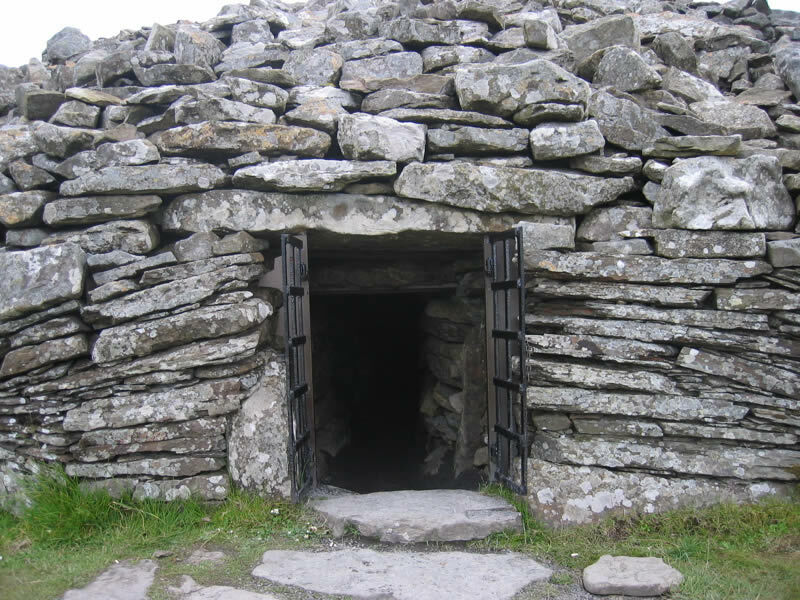 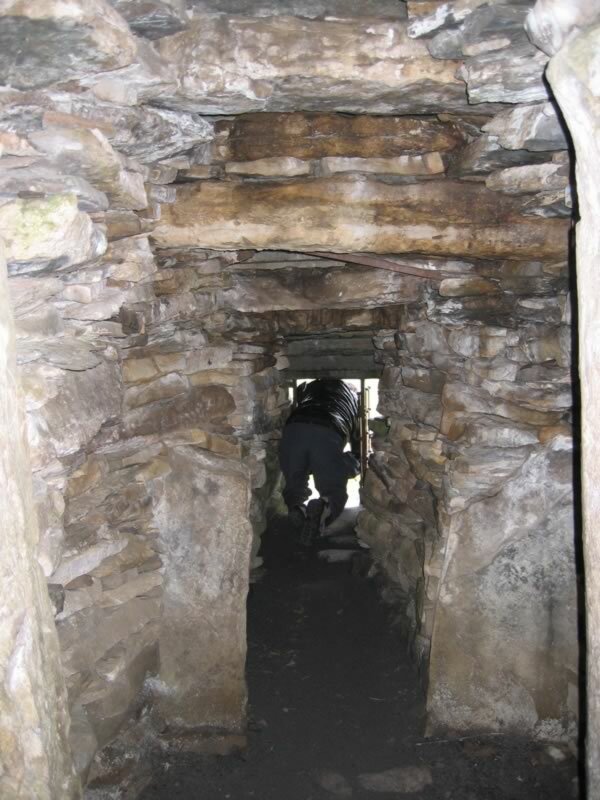 These ones had been rebuilt, so if you crawled along the passageway into the middle, you were enclosed in a small space.